Stefanos Tsitsipas didn’t realize he was serving for the match. Playing in Saturday’s third-set tiebreaker against this year’s Wimbledon finalist Kevin Anderson, Tsitsipas had a 6-5 lead and he was serving for a spot in the final. But he double faulted and missed that opportunity. “If I tell you something now, you won’t believe it,” he said during his press conference after. “I realized it was 6-4 when I double-faulted,” he explained. “I looked on the scoreboard and then I understood. Not only that, just a couple points later, the Greek youngster stared down a match point for Kevin Anderson at 6-7 and he hit an incredible crosscourt backhand to stay in the match. “Oh, yeah, that’s right. It was match point, right?” Tsitsipas responded. 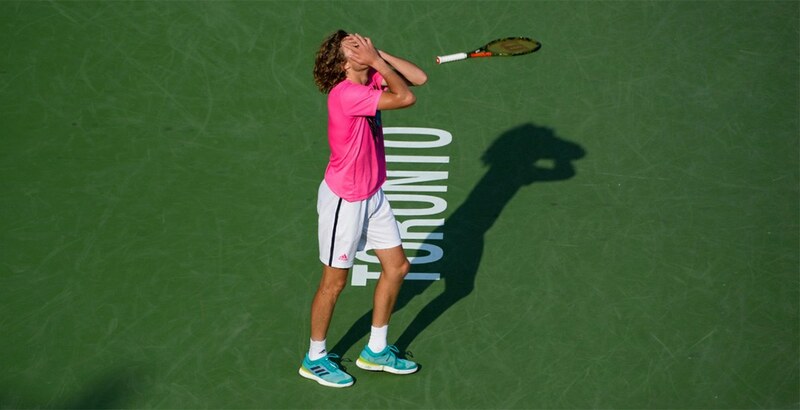 Somehow, despite Tsitsipas’s lack of recall and his unawareness of the score, he played a hell of a match against Anderson. The riveting contest that featured two tiebreakers was won by a a score of 6-7 (7-4), 6-4, 7-6 (9-7). On Sunday, Tsitsipas will turn 20 and he will play in his first Masters 1000 final. He will be facing tennis legend, 17-time Grand Slam champion, Rafael Nadal.